✦This product is a perishable item, may accumulate scratches, debris, wear and tear overtime, please use with care. ✦Before use, please view our Installation Tutorial, incorrect installation may damage the case. ✦ Product is eligible for return and exchange if under 30 days’ purchase, under perfect condition and in original package. See our policy page for more details. Any issue upon receipt, please contact support@evolutivelabs.com with pictures of the item and order number. Must contact us for eligibility before returning product. Disclaimer: 1. We highly recommend our 9H 3D Curved Glass Screen protector for perfect comparability. A case alone will never fully protect a device by itself. However, please note that we do not guarantee the bumper will also be able to protect the Tempered Glass Screen Protector in the event of a drop. 2. 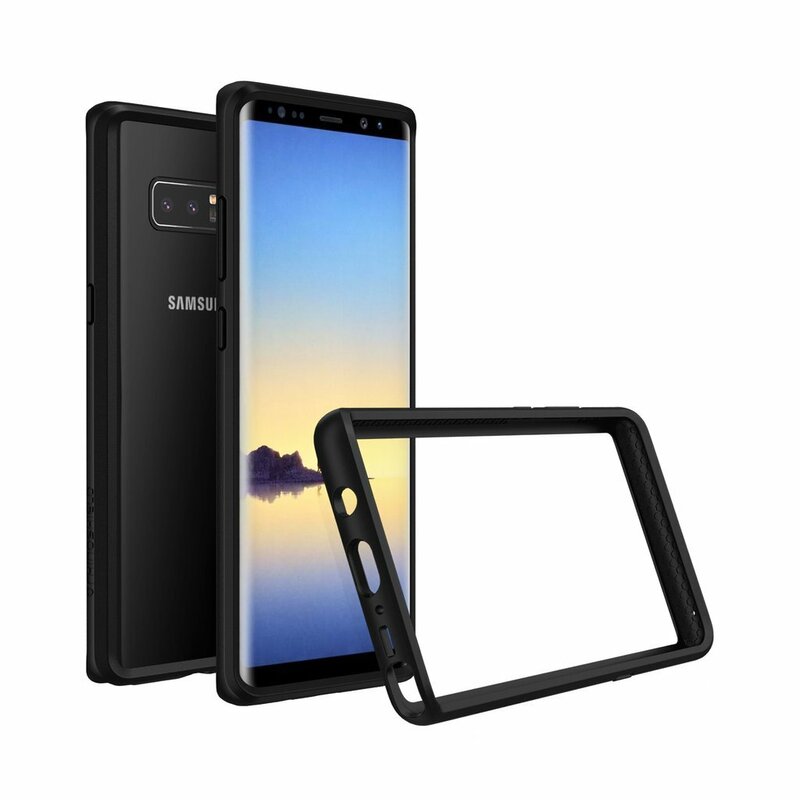 The RhinoShield CrashGuard Bumper for Samsung Galaxy Note 8 does not cover the edges of the device. In the event of a direct impact on the curved screen (for example on the edge of a table), the bumper will not provide any protection and damage is to be expected. Our bumper will only provide protection if it is able to absorb the shock first. Keep in mind that we do not offer any compensation or warranty for the device itself if it is damaged while using our product(s).